Hello, lovelies~ Do you remember the story about a man who was on the verge on discovering the fountain of youth? It is said that whoever drank from that water source will be young forever as in trapped in time. If you didn't know that story, then maybe you're more familiar with the song Forever Young? Well, my point is that it would be nice to postpone aging and stay younger for just a little while. 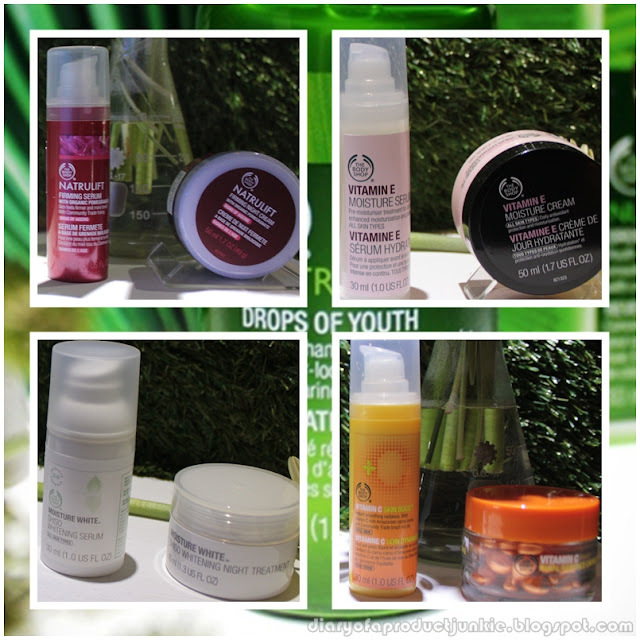 Maybe with The Body Shop's new product, we can delay the aging process a little while longer. 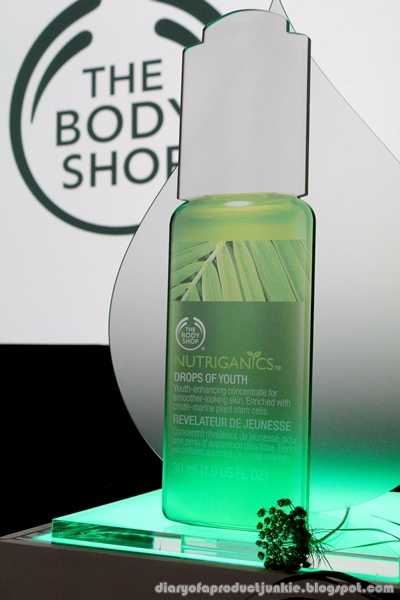 Meet Nutriganics Drops of Youth from The Body Shop. This light gel textured pre serum claims to help boost the skin's regeneration process, revealing healthier and fresher looking skin afterwards. I was given the opportunity to attend the launch at Plaza Senayan yesterday and try out first hand how the pre serum feels. Luckily, I wasn't late because I already anticipated the horrendous traffic, so I left home earlier. 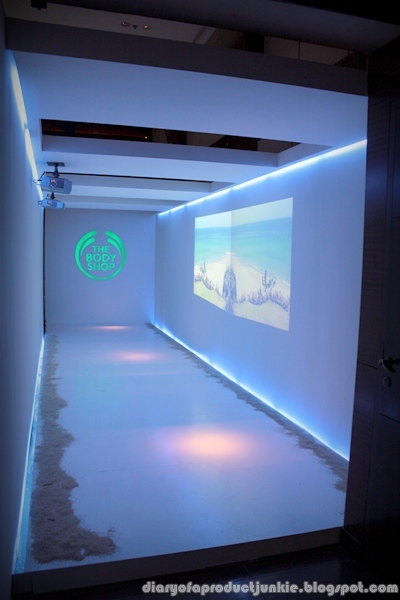 As I entered the venue of the event, there was a hallway with sands on the side along with pictures of beaches, complete with the waves hitting the rocks. To add to the effect, they even had sounds of the waves and seagulls! How well thought of. Even though, I admit, I was confused how this relates to the launch (which will be explained further below). 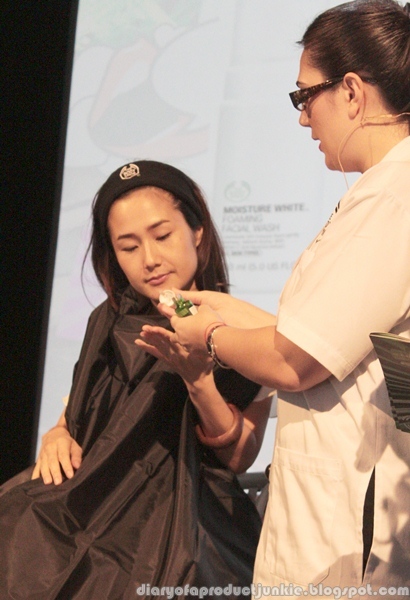 Before the show started, I had a mini facial treatment using the Drops of Youth. The massage relaxed me physically and mentally since I had quite a stressful week. I asked her to keep my eye makeup on because I can't be bothered to apply the double eyelid tape again. I nearly fell asleep when she massaged my face, it just felt so good! 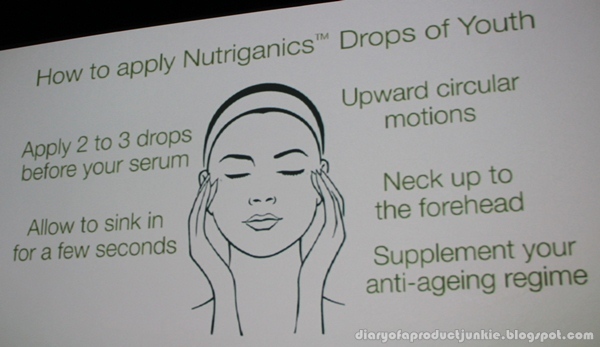 After she swiped toner all over my face, she applied the New Nutriganics Drops of Youth. 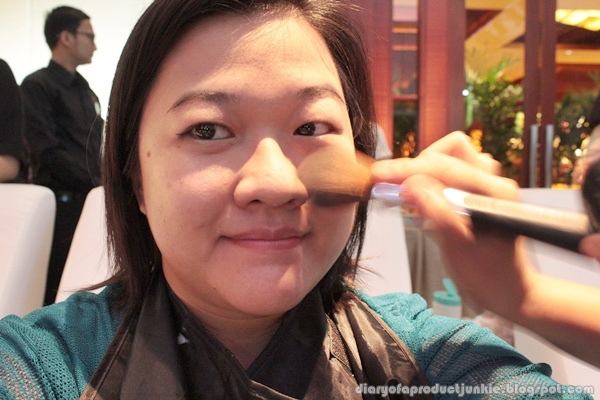 She used one pump for my whole face, applying them in circular motions. A few moments after, she continued to lightly tap my face with her fingers, nearly lulling me to sleep. 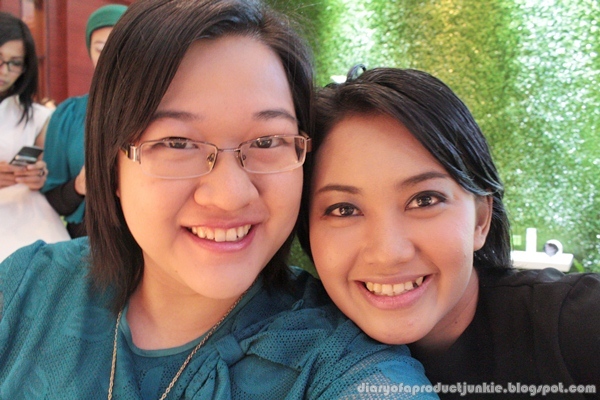 The product has a clear, light gel texture that feels really lightweight on my face. It sinks into the skin quite rapidly as well. As soon as it is fully absorbed, my face felt softer and plumper, kinda like konyaku jelly, where I can poke at it and it bounces back. The finish is neither sticky nor greasy. 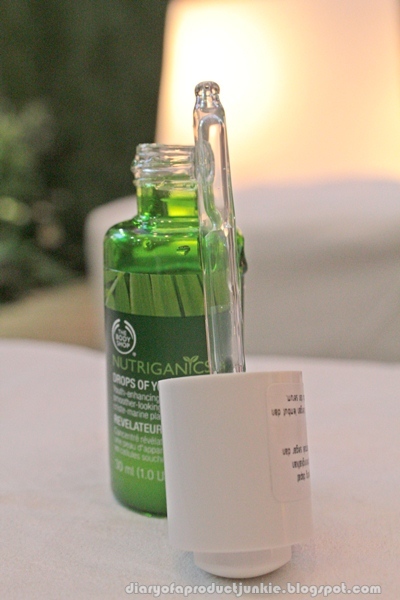 This pre serum is free of parabens and silicones, so people with sensitive skin can try it out. Looks promising so far, but I'll hold my review until I get my hands on them. She continued with the moisturizer before applying my makeup. 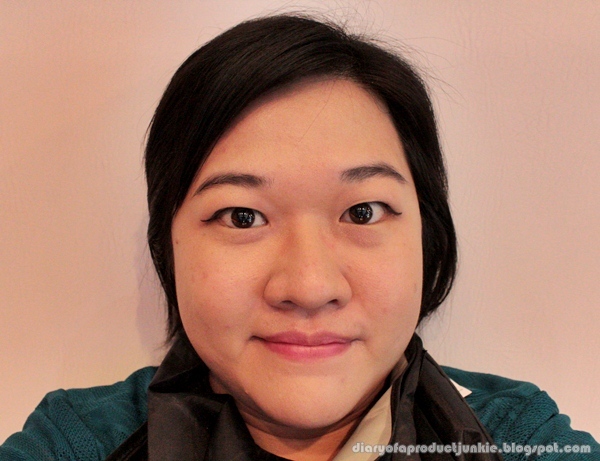 I had a mini makeover because I wanted to preserve my ever-so-bouncy face ^_^ Anyway, I felt that the makeup adheres easily, I'm not sure if it's because of the pre serum, but it sure does felt easier. A little touch of lip color and I'm done! 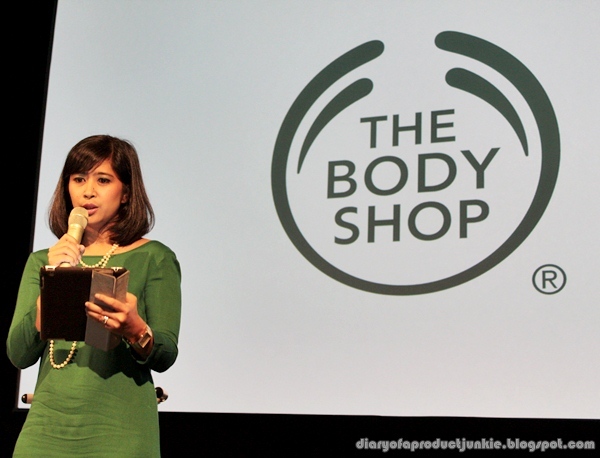 The event started with a short introduction of Nutriganics Drops of Youth by Ms. Amanda Ajikarisma, Head of Marketing Communications of The Body Shop Indonesia. She also showed us a video on the product itself, which I captured some of the essential information. 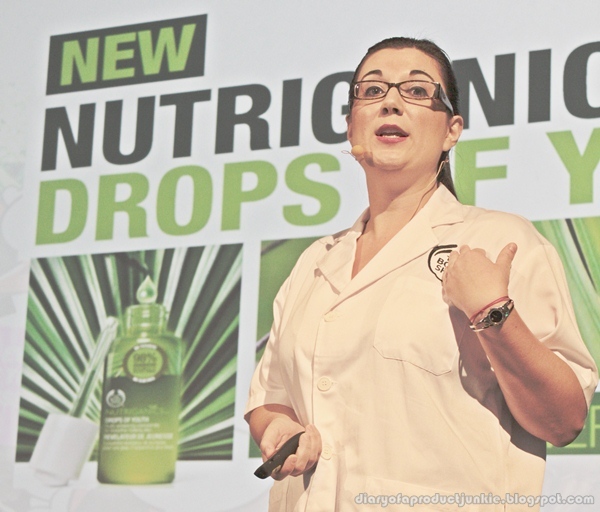 The next segment is a brief presentation about Nutriganics Drops of Youth brought by the franchise training manager of The Body Shop, Dawna Sanderson. 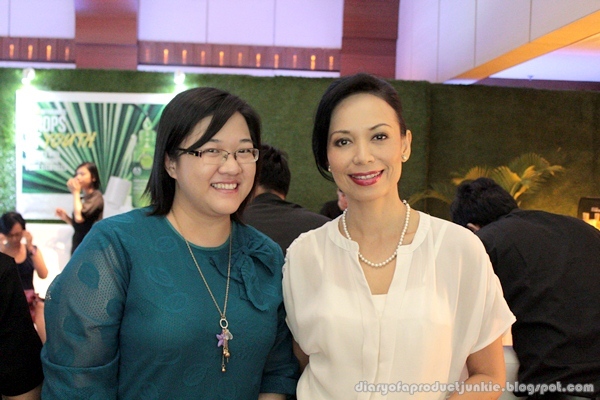 Equipped with her refined white lab coat, she explained the benefits of this pre serum. 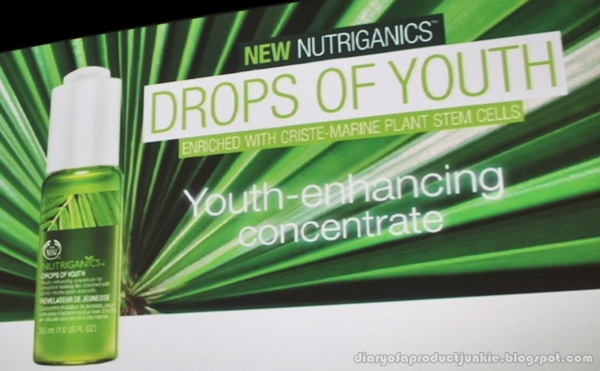 She also explained that the pre serum uses plant stem cells from Criste Marine, which is a rare plant that only grows on the Brittany coast. This magnificent plant can live in the harshest conditions of extreme weather and very dry environment. Oh, so that explains the hallway with the beach view and the sounds of seagulls. I see what you did there. What is a presentation without a demonstration? In this segment, Ms. Dawna stressed that while applying skincare, it is extremely important not to forget the neck area. Since the Drops of Youth gives maximal hydration and boost the skin cells' regeneration, it's significant to nourish your neck as well. "You wouldn't want to have an E.T neck, do you? ", she said cheerfully. Oh, in case you don't know what E.T is, here is a picture of how your neck would look like if you disregard it. 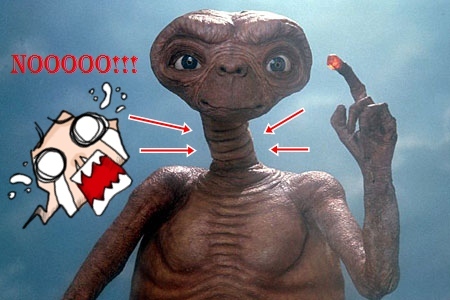 Aside from the glowing finger, I would stay away from E.T's neck, all wrinkly and what-not. Continuing with the demonstration, Dawna added that this pre serum can be used in conjunction with other skincare products. So long as it is applied after toner and before serum. 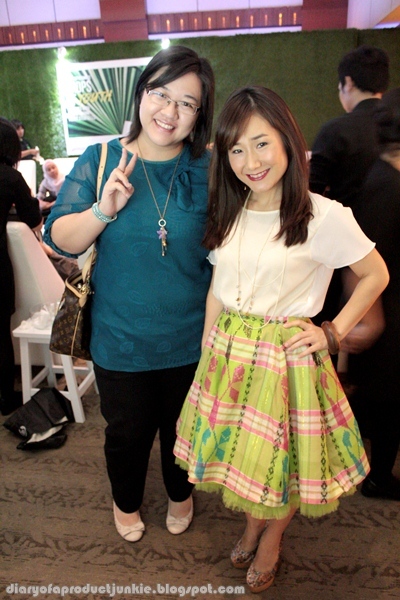 The presentation was closed with a door prize drawing and buka puasa bersama.